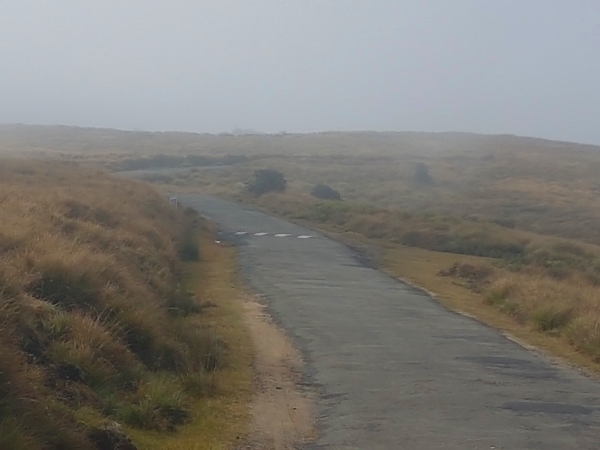 A very early start saw us loaded into the bus by 5am, we needed to get to the entrance to Horton Plains National Park by first light so that we could search for the Whistling Thrush. All great plans……we were thwarted by the weather, very thick cloud shrouded the entrance to the park and the light was abysmal, hence we missed the Thrush and the usual India Blackbird (which in fact is the European Blackbird with another name). About 50 other vehicles were all trying to get into the park at 6:30am but all went smoothly and by the time we had drove a kilometer into the park we hardly saw another vehicle. The first hour of birding was very hard in the fog and mist and low light conditions. 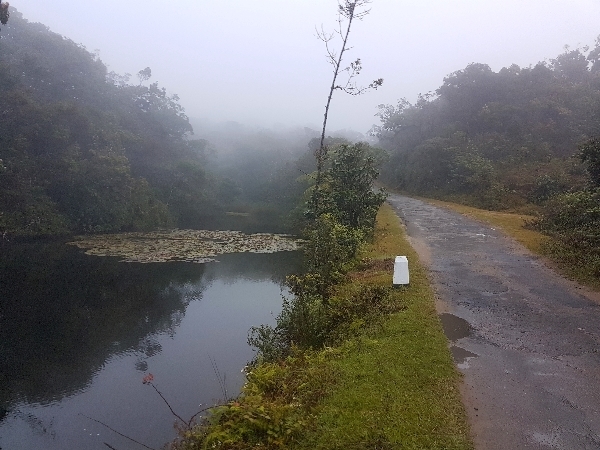 We saw a few species, Grey Wagtail, Sri Lanka White-eye, Sri Lanka Wood Pigeon and Dull-blue Flycatcher, the latter three all being endemic species. Then near a pond we added a few warblers, a Blythe’s Reed Warbler showed very well, a Sri Lanka Bush Warbler also showed well for me! A Greenish Warbler was watched by two of the group with Saman our guide. We continued into the park and drove out onto the plains, the cloud lifted somewhat and we started seeing birds! 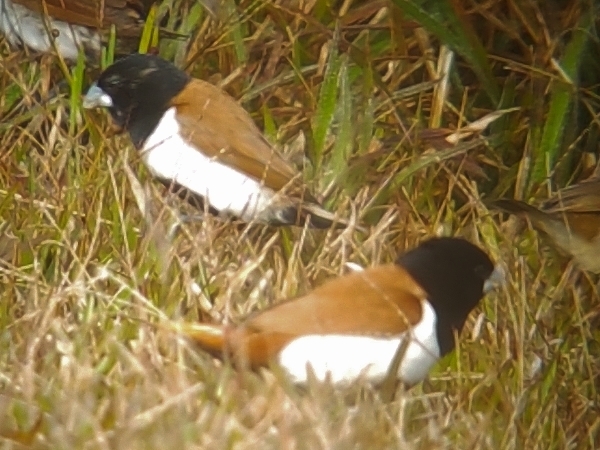 Both Richard’s and Blyth’s Pipits were seen on the short turf, whilst Pied Bushchat, Zitting Cisticola, Brown Shrike and small flocks of Tricoloured Munia were all seen in the scrub or on the bushes. Further exploration onto the plains uncovered a Common Snipe, Red-wattled Lapwing, Large-billed Crow, Hill and Barn Swallows, Sri Lanka Junglefowl and a great bird, the Himalayan Buzzard. We left the plains area and drove back into the forested section hoping for more sightings. 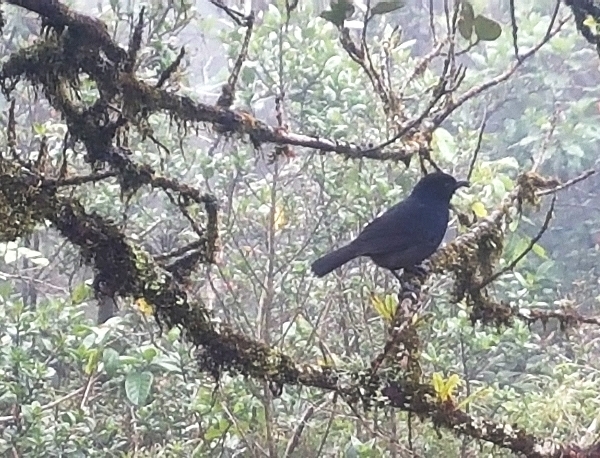 It was during this spell that we had incredible views of the Sri Lanka Whistling Thrush, this bird flew out of the dense forested scrub and landing on a branch not 2 meters from me and out in the open. 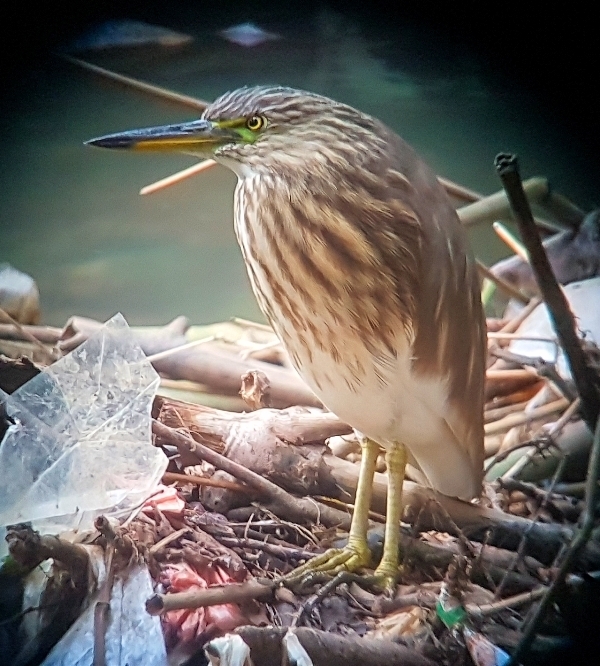 It was unbelievable, none of us moved a muscle for at least two minutes, I slowly got my phone out and rattle off a few shots before the bird flew back into the forest. 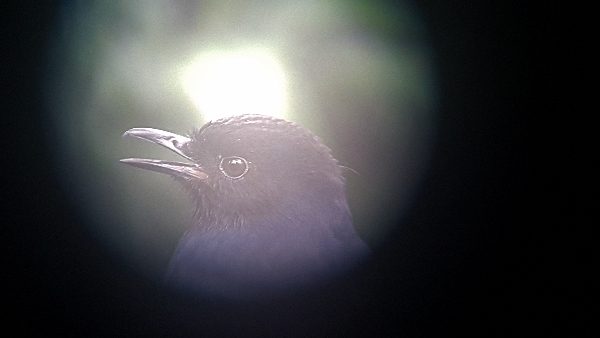 I was able then to digiscope part of the bird, it was still too close. What a great result, the Thrush is in my opinion the hardest endemic to see and now we have it in the bag. We had further sightings of Dull-blue Flycatcher, Yellow-eared Bulbul and on the way out of the park we stopped to watch a dozen Sri Lanka Pigeons coming down to drink at a small stream. We got back to the hotel at 1pm when we took a 2-hour lunch break, we met up again at 3pm when we assembled to go out for the last 3 hours of daylight. Our destination was Victoria Park on the edge of town, a beautiful landscaped area with ponds and open lawns, well kept flowerbeds and some great areas of mature trees and rough scrub. A large stream runs through the park where many birds can be seen. We made our way around the park in nice warm sunshine, the park was crowded with people enjoying the weather. We completed two circuits and listed some nice species, our main target the Pied Thrush remained elusive, but we were happy to get good close views of Indian Pond Heron, Little Cormorant, Common & Green Sandpipers, Forest & Grey Wagtails, Oriental Magpie Robin, Sri Lanka White-eye, Scimitar Babbler, Large-billed Crows and several very common species. 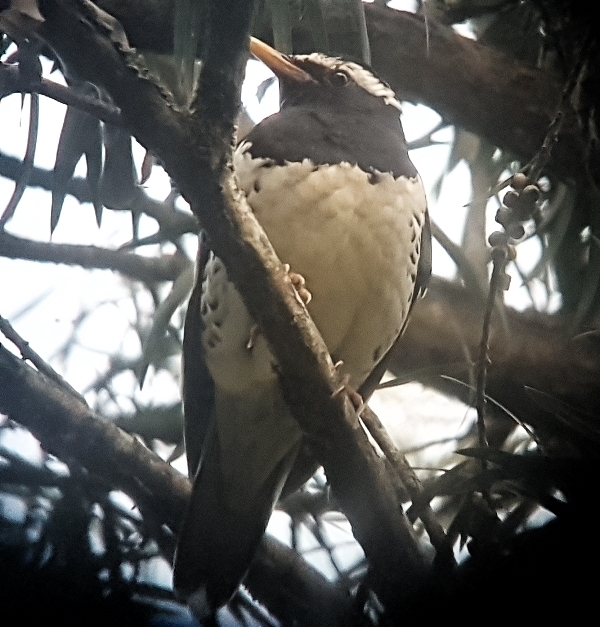 Our most sought-after species, the Pied Thrush did not show up until around 5pm and even then our sightings were very poor. 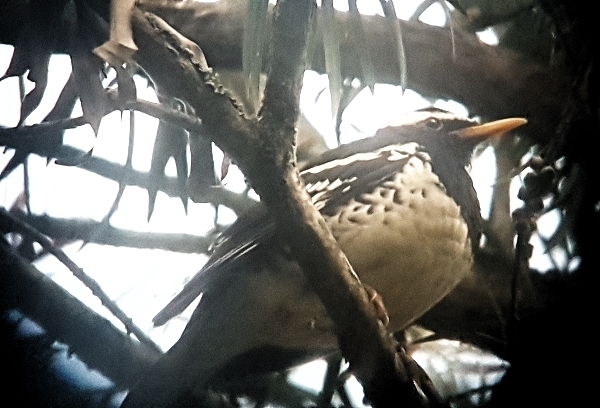 We continued our search for other species and we found a much more obliging Pied Thrush. 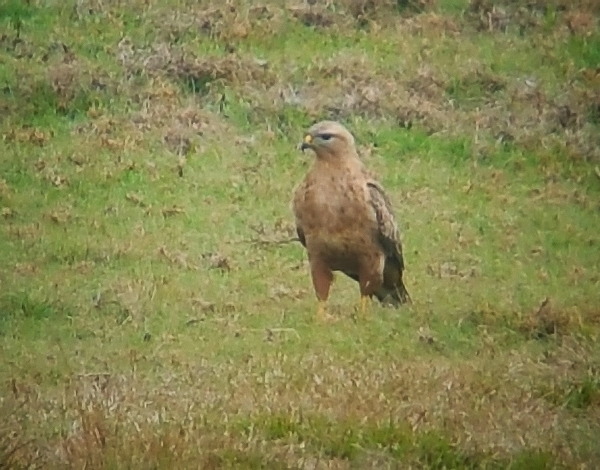 It was still perched fairly high up but we managed to digiscope it. 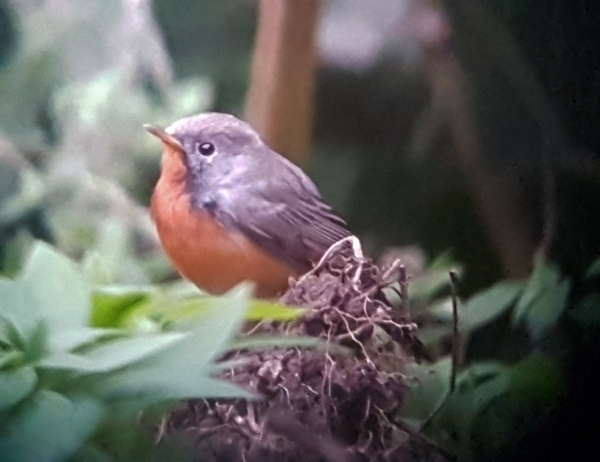 We now concentrated our efforts into seeing the Kashmir Flycatcher, it was getting late and the light was beginning to fade. Our patience and hard work paid off, we had superb views of not one, but two male Kashmir Flycatchers, what agreat way to finish the day.